Life is not always a ride on a merry-go-round. You often find yourself on see-saw, going up and down. This holds good for your finances too. When your monetary position has touched its lows and you are unable to pay back secured loans, voluntary repossession might cross your mind. First and foremost one should evaluate his/her monetary situation and decide if voluntary repossession is the only option left to come out of the hard times. Avoid voluntary repossession if the future holds any promise and you expect money to flow in as voluntary repossession will not free you totally from burden. 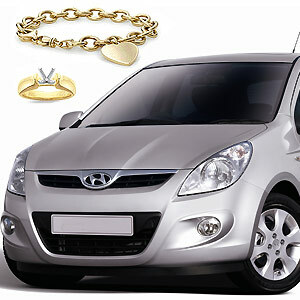 The property or vehicle is auctioned and the sale proceeds are used to pay up your loan. If the sale price is less than what you borrowed, you are still liable to pay back the balance. Once you have made up your mind about voluntary repossession of the property, seek an appointment with your creditor and explain the situation. Quite often lenders come up with different options to save the loan from breaking. He might extend the time period or grant some concessions to avoid repossession. This is the time to re-evaluate your decision and if you truly cannot afford the payment opt for voluntary repossession. Next step involves zeroing on when and where the property should be repossessed. You may allow the lender to come and pick up your vehicle or a house key or any item as the case may be or take it to the lender yourself. In either of the cases, handing over costs is generally borne by the borrower. Repossession by the finance company involves forcibly taking the defaulted asset from your possession. The services of this repossession is charged to you. Voluntary repossession affects your credit score but it is better than repossession by the company. Voluntary repossession is relatively better as both borrower and lender have talked it over and are in sync with each other and the borrower need not wake up to a rude shock of confiscation of his property. It shows your willingness to accept your circumstance and work with your creditors. Except for these reason,s borrower does not benefit in terms of cost (e.g. auction fees) or credit score. Repossession whether it is regular or voluntary reflects in credit report and lowers the ability of rating loans in future. If you are smart enough, negotiate with your lender not to report the repossession to the credit agencies. It is hard to part with your prized possessions but if that is the only option left, why not do it gracefully? First Published Date: 19 May 2010 Last modified Date: April 18 2019 This page may have been updated recently as new information is available or the content may have been edited for better readability.